It’s never a good idea to leave your dog in the car during the sweltering summer heat. But, when there are times when you have to leave your dog for a quick errand; Dog Caller can help you out. Created by Rethink and Aaron Starkman, Dog Caller sends a text alert to dog-owners when their furry friend gets too hot. 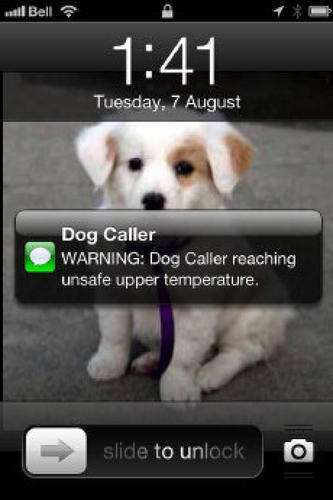 The device is made of a SIM card, a thermostat, some LED lights and a coded chip to determine whenever your dog’s temperature exceeds 26 C.
The team plans to make Dog Caller available next year for about $20 per collar. 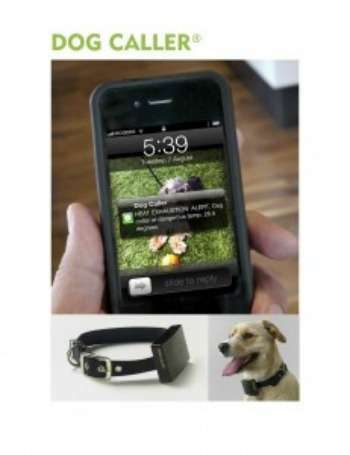 This would be really helpful if the collar had a GPS and the app put the location of your dog on a map. Totally! That's what I was hoping it was at first. Why do you need to know if it's too hot in the car? People should never leaver their pets in hot cars.